Dr. Gregory W. Stewart is the Chief of the Section of Physical Medicine and Rehabilitation, and the W. Kennon McWilliams Professor in Sports Medicine at Tulane University. He is a nationally recognized expert in non-operative treatment of musculoskeletal disorders in adults. He also specializes in disability prevention, rehabilitative medicine, sports medicine, and has a particular interest in sports concussion. 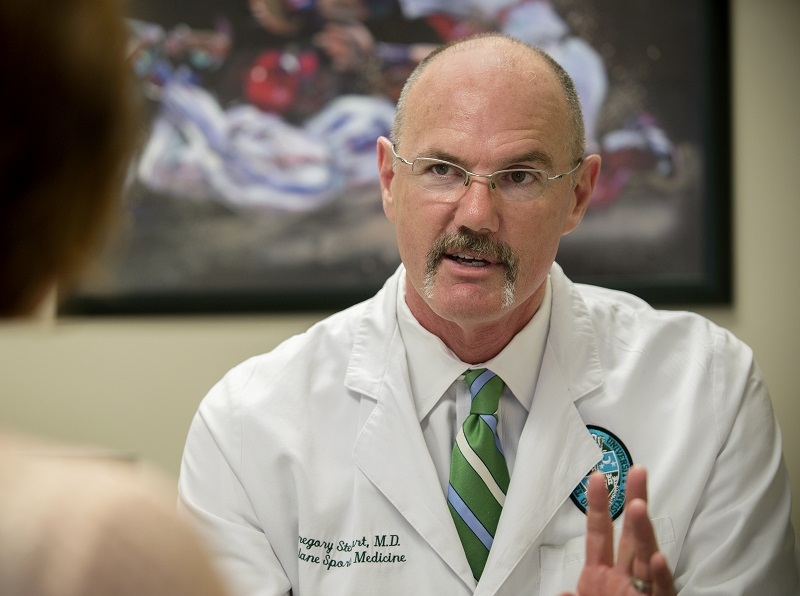 Dr. Stewart is the director of the Sports Concussion Management Program and team physician at Tulane University. He has served as team physician for professional, collegiate and high school teams for over twenty-five years. Dr. Stewart is active in professional associations in sports medicine and physical medicine and rehabilitation. His contributions to the sports medicine community include director of education for the Louisiana Sports Medicine Society, served on the Sports Medicine Committee of the Louisiana State Medical Society, and Chairman of the Louisiana High School Athletics Association Sports Medicine Advisory Board. He was a major contributor to the successful passage of the Louisiana Youth Concussion Act. He received funding from the National Institute of Disability and Rehabilitation Research of the U.S. Department of Education to examine the effects of mild traumatic brain injury in high school football athletes. Dr. Stewart, an associate professor of clinical Orthopedics at Tulane University School of Medicine, earned a bachelor’s degree from Houston Baptist University in 1982 and a medical degree from University of Texas Medical Branch School of Medicine in 1986. He completed an internship and residency at Louisiana State University/Charity Hospital. Dr. Stewart is board certified in physical medicine and rehabilitation.